Hello all! I know it’s been forever since I posted last, and of course that has had everything to do with the fact that I’ve been rather busy. Somehow, having a day job and two writing jobs really cuts into your blogging and personal writing time. But I felt I should log in today and let everybody know that, due to some fortuitous circumstances, you’ll be hearing even less from me in the coming months! Well, probably not less, more like the exact same amount. And the reason for this is… I got a new job! For months now I have been in contact with an old friend of mine in Vancouver who has created a startup dedicated to water recycling systems. Their latest proposal is a concept for a grey-water recycling toilet which, as the name suggests, turns used bathroom water into flushing water to reduce your total household expenditure. 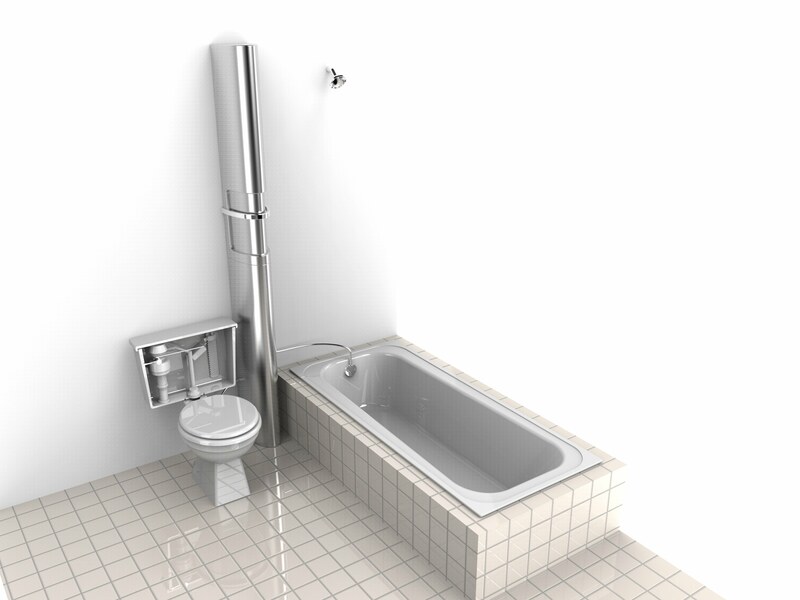 Design concept of the ReFlow system in an existing bathroom. Originally, I was going to profile his business and his idea for HeroX. But after some changes in their company structure, he decided to take me on as their new communications manager. So starting now, I will be the guy in charge of contacting anyone and everyone in North America who’s got a stake in water conservation and letting them know we exist. Also, I will be responsible for making sure there’s a media blitz when we choose to launch. In a few months time, we will be crowdfunding the idea – known as the ReFlow Green Grey-Water Recycling Toilet – and raising he money we need to make it commercially available. And I’ll also be doing a writeup about it for HeroX, just to let the design and innovation community know its out there. Matt, that’s great news! I hope the job goes well for you and the new toilet goes well too. By the way, would you happen to need a second-in-command or an assistant? Because I’m looking for a job and I could be very helpful in the communications department. Interesting… what qualifications would you say you have in this field? I am a double major History and English, so that comes with plenty of writing skills. I’m also a people person, so I’m good at communicating with people. I’ve also worked in my school’s financial aid office for nearly four years and I’ve worked as a resident manager for two, so I’m used to an office setting and I’m good with varied tasks when needed. If you want I can send you a cover letter and resume though. Just let me know where your friend’s start-up’s website is and I’ll send one your way. Well, that’s exactly what I came to the job with. Let me run it by my boss. Matt, you’re the best! Shoot me an email when you have the news, okay? Just got a reply. My boss is giving a tentative yes. He just wants me to let you know, this work is contingent on us getting our funding – which will be begin in about a months time. Once we’ve got it, every team member gets paid for their work. Which means, basically, we aren’t getting paid right away. Myself, I am getting a few grand for my time here, and as a comm member, you’d be reporting to me. If this is all okay, then consider yourself hired. So this isn’t a steady salary gig, is it? Yeah, nooooo, not really. It’s more of a lump sum gig. Matt, I really appreciate you going to lengths to help me out. But I’m looking for a full-time job that can pay for my expenses. And while I really admire the idea of an environmentally-friendly toilet, I’m going to have to pass. Thanks anyway. I hope that things go well for you and the company. No hard feelings, right? I wish I was that kind of guy. Well, if the start-up turns into a big company, let me know. If I can’t take a position, I’ll try and plug it somehow.